Northwest Immigrant Rights Project (NWIRP) will host a fellow over two years as part of the Equal Justice Works Crime Victims Justice Corps. The fellowship will begin on or about June 1, 2018 and end on May 31, 2020. The Equal Justice Works Crime Victims Justice Corps is a legal fellowship program designed to increase capacity and access to civil legal help for crime survivors. A cohort of approximately sixty fellows are placed at nonprofit organizations across the country to provide direct representation to survivors of crimes, including human trafficking, fraud/identity theft, campus sexual assault, and hate crime, and immigrant survivors of crime with meritorious claims for immigration relief, and outreach and education to community partners. All fellows will incorporate crime survivors’ rights enforcement into their practice and will receive training from the National Crime Victim Law Institute and other training and technical providers. Learn more and apply for the fellowship here. our Family Services Unit (FSU) in Seattle, Washington. The attorney will provide legal assistance to community members through: direct representation; individual consultations; self-help assistance in the form of community workshops and legal clinics; and community education. The attorney will focus on providing legal representation in various matters, but focusing on 1) defending individuals in removal proceedings, and 2) representing community members seeking immigration status through family visa petitions. The attorney may also be assigned work relating to other immigration matters. Learn more and apply for the staff attorney position here. For my 1L summer, I interned at the Seattle Community Law Center, as part of the Disabled Homeless Advocacy Project. This unique program assists folks who are experiencing homelessness with their applications for Social Security disability benefits. Making the Bureaucracy Work for Poor People. During this internship, I was able to participate in numerous stages of the SSDI application process. Much of my time was spent interviewing clients and collecting preliminary information to start their disability applications, which included their medical history, work history, and any information pertinent to their disabilities. I quickly learned that the benefits application process is relatively colorless and standardized. So to paint a more holistic picture of our clients, I wrote “medical summary reports,” which accounted for my client’s personal background beyond the information that could be found in their medical records. I was also able to work on an “On the Record Request,” which is a legal brief sent to the Office of Disability Adjudication and Review, requesting that a decision about our client be based on the “record,” or the medical evidence alone. To write an effective request, I had to understand the criteria outlined by the social security administration to meet a disability requirement, and provide specific evidence about how our client met the disability. It was very much an “IRAC” situation! Meet People Where They Are. Most of my work at SCLC was spent in the office completing routine paperwork, but SCLC also believes in meeting people “where they are,” so I often accompanied my supervising attorney to meet clients at local shelters, temporary housing, and medical facilities. These were some of my favorite days because we were bringing legal resources to clients who otherwise would be unable to access them. This internship often involved tedious work, but I enjoyed the challenge of trying to creatively advocate for our clients with the administrative tools that we had. I am grateful for the experience I had at Seattle Community Law Center and appreciate the inspiration it has given me to continue my public service track. Interning at Open Door Legal Services (ODLS) is an experience I will never forget. Going into my 1L summer, I was unsure of many things, including the type of work that is done at legal aid clinics. Within the first couple of days, however, I knew I would enjoy every moment. A small clinic, there is one supervising attorney and two staff attorneys who do majority of the work, each attorney in charge of over 100 cases. The clients are mostly homeless, though some are low-income. They bring various legal issues, but the most prevalent include family law, court fines, and outstanding warrants. ODLS has clinics three times a week at their office in Pioneer Square, once a week in Bellevue and once bi-weekly in Everett. Because ODLS is so small, they rely on the numerous volunteers who come throughout the week, most working with clients during these clinics. An attorney will meet with the client and listen to his or her story, essentially issue-spotting. The patience of these attorneys was most inspiring. I sat with the attorney and asked the client questions to give us a better understanding of their legal issues, hoping to prompt them in the right direction. I quickly realized that many of the clients simply wanted someone to talk to. Thus, instead of answering our questions or giving us facts, clients often “beat around the bush” or offered us their various conspiracy theories. Instead of stopping the clients from continuing, the attorneys patiently listened, smiling and nodding. Some of the clients were very difficult to work with but the attorneys never talked over them or made them feel inferior. It was evident that they were there because they genuinely cared for the clients and wanted to provide as much assistance as possible. Working with the volunteers encouraged me, knowing that I will be able to volunteer at places like ODLS, regardless of the type of work I pursue after law school. 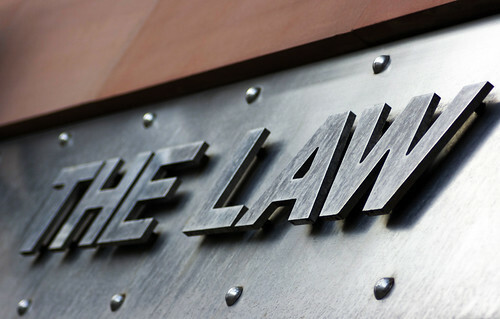 As stated earlier, typical legal matters include family law (child support in particular), outstanding warrants, court fines, and some immigration. Though immigration work is not as common as some of the other legal issues, I was fortunate to be able to work on a few cases during my short time at ODLS. One of the cases involved someone whom ODLS obtained a T Visa prior to my internship. I worked with the client and the client’s children to renew their work authorization. Being able to meet with them after reading their story gave me even more motivation and enthusiasm as I worked, even though I was simply filling out forms. I also worked on an asylum application, for which I was able to significantly contribute to the cover letter and research particular issues. It was a privilege to meet these clients and working for them was heartbreaking, yet rejuvenating. I was reminded why I came to law school and found joy in working directly with the clients. They keep me motivated during the toughest days in law school, and it’s promising to know that I will be able to do similar work with my law degree. Check out these upcoming judicial externships! The Honorable Charles K. Wiggins of the Washington Supreme Court. Or by email to Sylvia Campbell at Sylvia.Campbell@courts.wa.gov. The Honorable Ann Schindler of the Washington Court of Appeals, Division I. To apply, please submit a cover letter, resume, transcript, self-edited writing sample, and list of references by email to erin.sanders@courts.wa.gov or by regular mail. Judge Sharon L. Gleason of the U.S. District Court for the District Of Alaska. To apply, please submit a cover letter, resume, transcript, writing sample, and list of references by email to Anne_Masneri@akd.uscourts.gov (PREFERRED) or by regular mail. Opportunities with other judges in these and other courts are also available. If you are interested in a judicial externship, please complete the Externship Interest Form at http://tinyurl.com/newcmqd. Now is the time to plan for externships in the 2016-2017 school year. Come meet representatives of various organizations to learn about what they do and opportunities available during the school year. Some organizations may also still have openings for the summer. Please go to Symplicity for details and to RSVP. DPLF, a nonprofit, nongovernmental organization based in Washington, D.C., works to strengthen the rule of law and promote respect for human rights in Latin America through applied research, strategic alliances, advocacy and outreach. Our vision is a Latin America in which civil society, using national and international legal instruments,participates fully in consolidation of the rule of law, and in which judicial institutions are independent,transparent, accessible, and able to fulfill their role in strengthening democracy. DPLF was founded by Professor Thomas Buergenthal, retired judge at the International Court of Justice (The Hague), and his former colleagues from the UN Truth Commission for El Salvador. The legal intern’s responsibilities include, but are not limited to, following and researching various issues of interest to DPLF and keeping the project staff informed on relevant legal and factual developments. In addition to legal research, interns will have the opportunity to participate in activities surrounding DPLF’s thematic hearings before the Inter?American Commission on Human Rights where logistical support and attendance at events and meetings on behalf of the organization will be required. Application Instructions: Interested applicants should send their resume, cover letter, 2 writing samples(English and Spanish) to info@dplf.org, with “Legal Internship Application” in the subject line. Kids In Need of Defense (KIND) – Atlanta is looking for applicants for attorney fellowship position! Christina Iturralde, who is running KIND’s Atlanta office and is frankly, fantastic, will be overseeing the lucky attorney fellow. Also, we were also funded for a justice Americorps paralegal in KIND’s Atlanta office, in addition to this attorney fellow position, which means the attorney fellow will have tremendous support for his or her case work. The paralegal, Kevin Amaya, has already started in KIND’s Atlanta office and is looking forward to the attorney fellow coming on board. In short, the justice Americorps attorney fellow will be able to hit the ground running with a great team in place, and working in a beautiful office at our generous Atlanta host, Troutman Sanders LLP, I might add! Applicants should send cover letter, resume, legal writing sample, and references to: jobs@supportkind.org. No phone calls please. International Rights Advocates (IRAdvocates) seeks a full time associate to work on its international human rights cases, which employ legal strategies to hold multinational corporations accountable for human rights abuses. All cases are administered through Washington, D.C.
*Please note that this is not an entry level position. We will not review any applications with less than the required minimum 3 years of substantive, civil litigation experience. **Only selected applicants will be contacted for interviews. Please do not call the office. Familiarity with legal issues that arise in transnational corporate accountability litigation, including case law under the ATS and TVPA, international human rights, and issues of corporate law (alter ego), choice of law and forum non conveniens. Experience working with and relating to indigenous peoples in the Latin America, Africa, and Asia, especially concerning human rights. Interest, enthusiasm, and affinity for using the law as a vehicle for social change. To Apply: Interested applicants should forward a cover letter and resume to Jianing Xie at info@iradvocates.org. Please address your materials to Terrence Collingsworth. Position open until filled. The Department of Veterans Affairs and the White House set a goal to end veteran homelessness by December 31, 2015. Seattle, despite its ample resources for veterans and concerted effort to bring landlords and veterans seeking housing together through Operation WelcomeOneHome, was unsuccessful in ending veteran homelessness. 1,100 veterans were expected to experience homelessness in Seattle in 2015, and VA and homeless client databases found 662 homeless veterans in Seattle as of August 2015. According to a recent study, five out of the top ten needs for both male and female homeless veterans are legal in nature. Veterans with a less-than-Honorable characterization of service are seven times more likely to become homeless than those with an Honorable characterization of service. At the Seattle VA Medical Center, the Homeless Patient Aligned Care Team (H-PACT) works to address the health and housing needs of homeless veterans. Together, this team of doctors, nurses, housing and benefits counselors, mental health providers, and social workers aim to address the interconnected needs of homeless veterans. However, this team is missing a lawyer- or a team of lawyers. The Medical-Legal Partnership model, long used in children’s hospitals to address the health-harming legal needs of low-income patients and families, has begun to be used in veterans healthcare settings to address the needs of vulnerable veterans, including those veterans currently experiencing or at risk of homelessness. HPACTs, located in hospitals around the nation, already have the capacity to identify and treat the social service needs of veterans; developing the capacity to identify and treat legal needs is only a step further towards ending veteran homelessness. How You and I Can Make a Difference. As a 3L who has interned both at Northwest Justice Project’s Veterans Project and its Medical-Legal Partnership, I strongly believe in the Medical-Legal Partnership (MLP) approach to the delivery of legal services, especially for homeless or at-risk veterans. This approach treats legal problems that are affecting a person’s health, trains healthcare providers to identify health-harming legal needs, transforms the delivery of healthcare and legal services into one unified system, and works to prevent health-harming legal needs on an individual and population scale. Rather than work with only one issue (for example, only addressing public benefits issues), Medical-Legal Partnerships address the wide range of legal problems that can determine an individual’s health status. Homelessness can be prevented or addressed using legal interventions, and Medical-Legal Partnerships can provide these legal interventions. To end veteran homelessness, the Department of Veterans Affairs, the Legal Services Corporation, law schools, and legal service organizations must continue to create partnerships between the healthcare and social services providers that work with homeless veterans every day and the legal aid providers who can address some of the most pressing needs of these vulnerable veterans. The VA must consistently support the provision of legal services within their medical centers, legal services providers must develop cultural competency and best practices for working with veterans. Legal services providers should dedicate any available resources to ensuring that the most needy of the veterans in their community have access to legal services, whether through a Veterans Unit or Veterans Project, a dedicated Medical-Legal Partnership or through participation in events such as Stand Downs. The fight to end veteran homelessness will not be won without concerted efforts from every sector who works with veterans- the law included. Welcome to the New PILA Corner! A joint effort of the UW Law Center for Public Service Law and the UW Public Interest Law Association, PILA Corner as an Op-Ed space for members of the UW Public Interest Association and other student public interest leaders at UW Law School addressing public interest topics such as social, economic and racial justice, human rights, volunteerism, leadership, internship experiences, public interest careers tips and more. PILA Corner postings and content express the views of the author(s) only and does not necessarily reflect the views of the UW Public Interest Association or UW Law School and are only listed for identification purposes. Submissions are welcome by all UW law students and graduates. For submission guidelines please contact Aline Carton-Listfjeld, Director, Center for Public Service Law at acarton@uw.edu. This summer I had the opportunity and privilege to be a Rule 9 intern at the Snohomish County Public Defender Association. When I accepted the position I was excited at the prospect of learning about public defense. I enjoyed studying criminal law and thought I had a knack for the defense side. I wanted to try public defense but I also thought that prosecution was also a career possibility. Little did I know that by the end of my summer I would not be able to imagine myself doing anything but public defense for the rest of my career. My first week started out like an average first week at any job. We did basic training and a few court appearances and was paired with my supervisor. My supervisor was Braden Pence who was in the Evergreen District Court working solely on the City of Snohomish cases. Braden ended up being a great mentor who taught me valuable skills as a trial attorney. He helped me appreciate and realize what being a public defender truly means. His method of teaching was throwing me into the mix and giving me hands on experience straight from the beginning. The first case he threw me in on was a complicated animal cruelty case in where a single mother had her three horses taken from her. The oldest of the three who she owned since she was a child was euthanized by the City before she had a chance to say goodbye. After examining the case and evidence, it was obvious that the City was being overzealous in prosecuting this woman for something that was clearly not animal abuse. This was going to end up being a complicated case with expert and characters witnesses, doctors, and an animal control officer. Luckily, before we went to trial, we won the case because the search and seizure of the property and horses was illegal. Braden and I went with our client to retrieve the horses. The look on her face and her appreciation is something I will never forget. Throughout my summer, I had many different experiences like this, working with average people from all backgrounds who just needed to feel heard and get justice from a system that had wronged them so many times before. In all, I was able to participate in five trials, three of which I tried by myself, two which resulted in a not guilty verdict. From the first trial, I was instantly hooked on the high of presenting a case and questioning witnesses in front of the jury. It was exciting to stand up and object or to have the prosecutor’s objections fall flat. My last trial was by far the most exciting and rewarding. I worked with a different attorney on a case out in the South Division in Lynnwood which was a Domestic Violence Assault. Our client was clearly innocent and the girlfriend was being vindictive and creating a web of ridiculous stories. The trial was long and tedious with the prosecutor giving this case all that he had since this was his last trial before he left the County. The day after our trial the jury came back with a not guilty verdict. That verdict meant everything for our client who was relying on it for a job promotion. It felt like justice was done. Overall, after my experiences this summer secured my belief that public defense is vital to maintain the system. The most important lesson I learned this summer is that everyone has a story that needs to be heard. Their lives depend on these charges and it is our job to get the best result for them. After this summer, I cannot imagine myself doing any other career.